Select the first video files from MEDIA BROWSER Panel. Now select all the video files (except the first video file) from MEDIA BROWER Panel and drag it onto QUEUE panel. All video files should have Format: H.264. Preset: Match Course - Adaptive Low Bitrate. Output File: Same as the folder where it originated from. Press the “Play” button to the top right corner. If file extension ending with .mp4, The compressed file name will have _1 “(filename_1.mp4)” The compressed file has to have the same from the original file, in order to re-link later in the process. Therefore we need to remove the “_1” from the compressed file name. 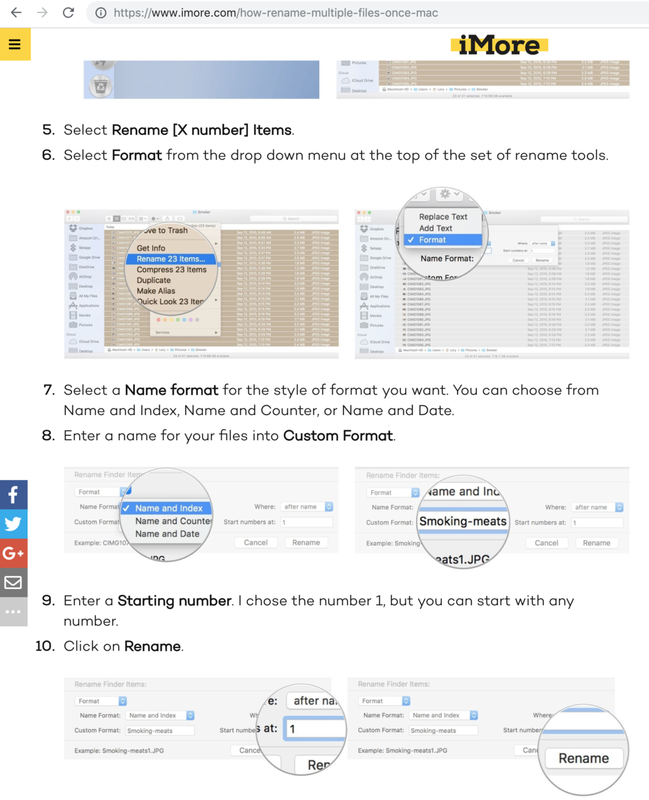 See below image below or read this link to figure out on how to rename files in batch. https://www.imore.com/how-rename-multiple-files-once-mac . please make sure all the compressed file has the same name as the original file name. Extensions can be different. for 5D cameras it goes from .MOV to .MP4 when compressed but that’s okay. Then Upload all compressed folders into newly created wedding date folder.